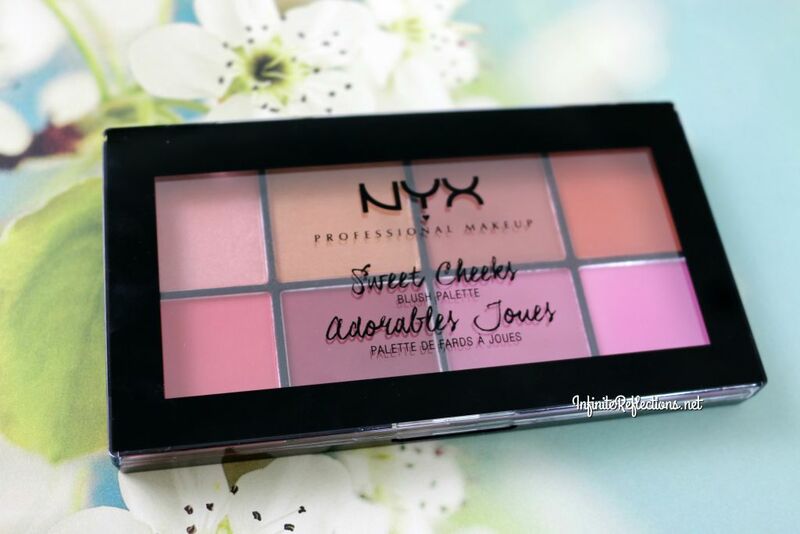 The NYX Sweet Cheeks Blush Palette is one of the most versatile blush palettes which is out there and I feel that this will suit a lot of skin tones. 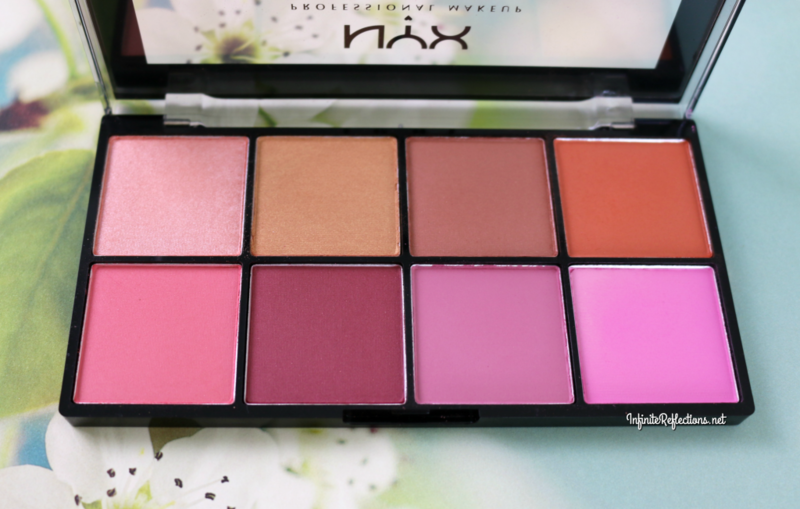 NYX has done a really good job with this one, find out more about this palette. I really liked the packaging of this palette. The see through packaging is very appealing to me. The whole palette is plastic but it feels quite sturdy and well made. There is no mirror obviously, but I do not really mind that. 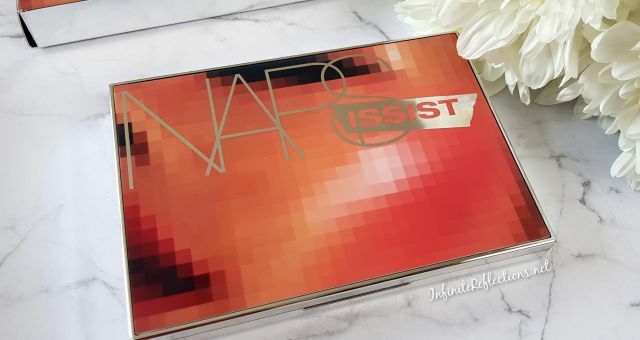 The pan sizes are very generously sized, yet the palette is quite compact and lightweight, very travel friendly. 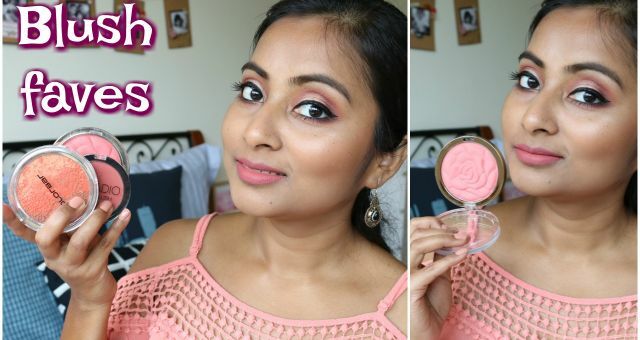 Its easy to use a bigger fluffy blush brush with this palette as the pan size is big enough. 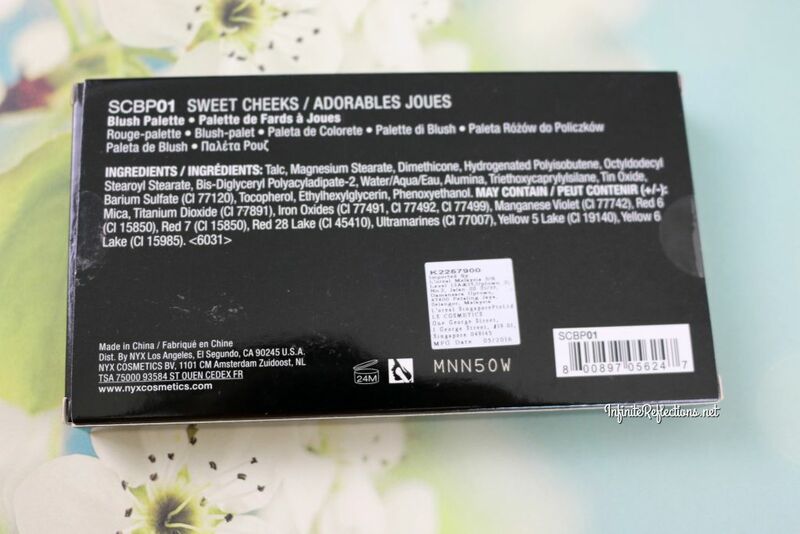 The black color on the packaging does make it more appealing as all the blushes pop against the color black. 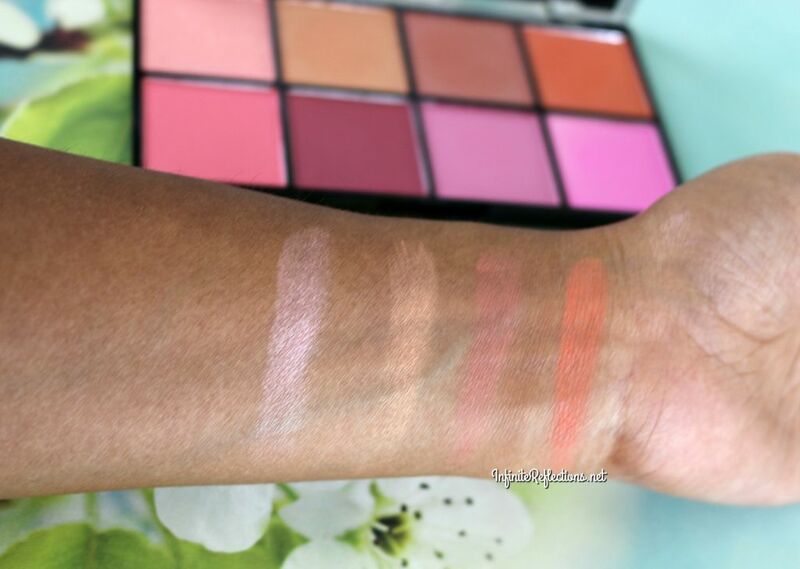 There are 8 beautiful blushes in the palette and I love the color range as you get a wide variety of colors. Out of the 8, 4 of the blushes are matte, 2 have tiny specks of glitter which doesn’t really translate on to the skin and 2 have a little shine to them. 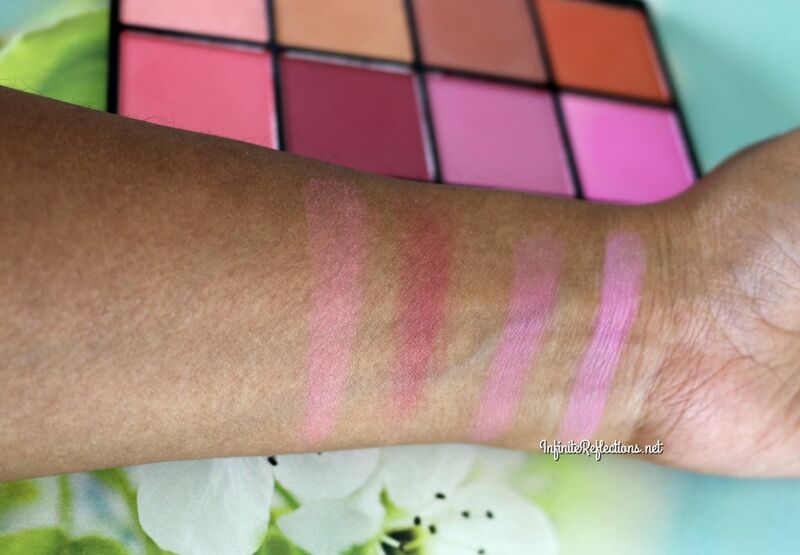 The shimmering ones can be mixed and matched with the mattes or can be used as blush topper. You can see from the picture, that colors will suit and lot of skin tones with varying undertones. There are both warm tones and cool tones in this palette, which is great. In Singapore, this palette is priced at SGD 32. I find that this palette is superbly pigmented. When I swatch the shadows with my fingers and feel them in the pan, they appear to be very soft and smooth and very nicely pigmented. But, for each blush, pigmentation may not translate to color-payoff. Some of the shades do need to be built up. If you don’t mind building up your blush color a bit, then you will be very happy with this palette. 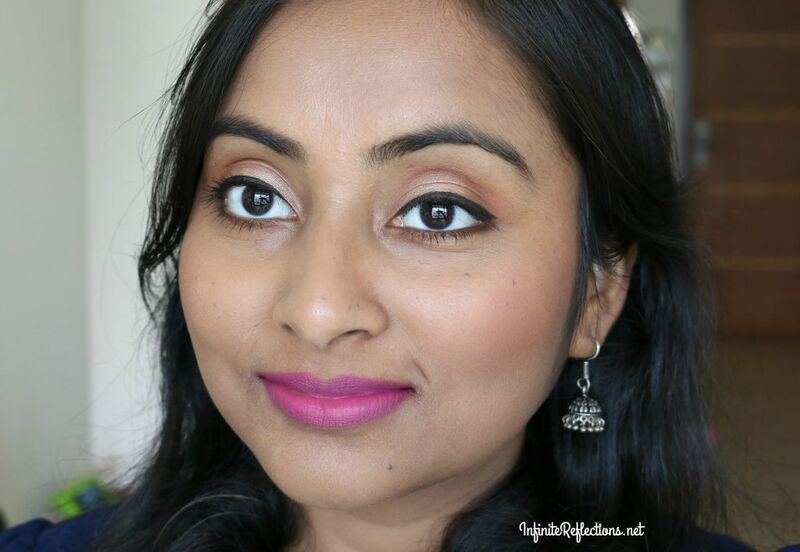 I am one of those who likes to build up the color rather than have full on pigmentation at one go. So, I don’t mind the fact that some of these blushes do disappear into nothing on first swipe, specially on my tan skin tone. Maybe, someone with a fair skin tone would not have that issue, and they would get a better color payoff. But, these blushes do work well with my Real Techniques Blush brush and I am able to get the perfect amount of blush in 2-3 swipes. All of the shades blend beautifully and are very easy to blend. Even when I mix two shades, they don’t look patchy or disjoint and look quite seamless. I am quite happy with the pigmentation this palette provides. There is an orange shade, peach, few pinks, a plum, so there is a lot of shades to work with and mix and match. Barring 1 or 2 shades, all the blushes do show up really nicely on my skin tone. 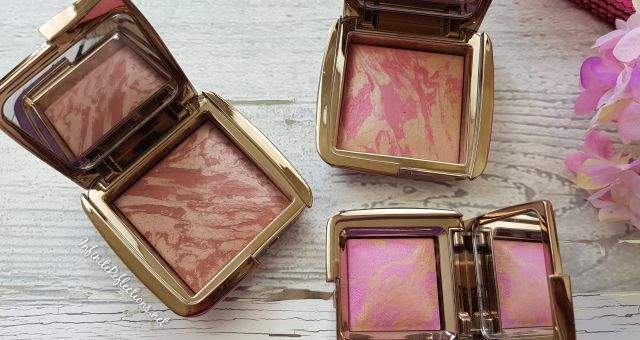 Whenever I have used this blushes, they have easily lasted 5-6 hours on me without much fading. 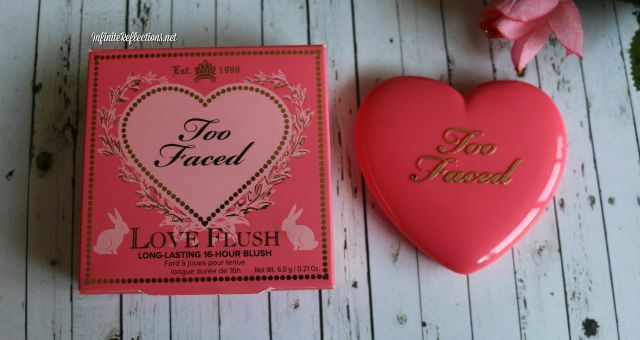 They have quite a good lasting power but it also depends on the amount of blush you have applied. Here are the swatches of the palette on my skin tone. In this picture, I have the 3rd shade from the top and 2nd shade from the bottom on my cheeks. I don’t usually go heavy handed with my blushes. Overall, I do enjoy this blush palette a lot and will highly recommend because you do get 8 good quality blushes and it is not super expensive. I hope you found this review helpful. Do you have a favourite blush palette? Let me know.